Well after the past couple of weeks of slow-plod knitting on my shawl, I've gone up a gear and been partaking in some bish-bash-bosh crochet.....so hubby likes to call it, whereupon I decide I am going to make something and then make it in record-breaking time. I finished my cat from the brilliant tutorials at Annaboos House, I highly recommend taking a look at the patterns as they are super-easy to follow with loads of pictures if you're not sure, or just beginning in crochet. Yesterday, Small and I had a party to attend, of the Scoot and Skate variety, so we went along with relevant means of transport and a pressie for the birthday boy.....but in true 'Faith' style, I decided to make a small pressie for his baby sister, a few hours before the big bash. This was supposed to look like a rabbit, but turned out more like a lamb....so that is was the plan right? And, not to stop at that.....today brought a new challenge as Small and I attended a 'Ruff and Tumble' party and I decided last night I was going to make the little birthday girl a doll to go with the rest of her gift......well as you can see, she didn't get it, as I was early to church today and the doll remained hair-less and arm-less....one for another occasion I think! I have been knitting this week too, but as it is, at present, shapeless and boring to look at I will leave it for another post. The weekend has come to end all too soon again, but the sun has been shining this afternoon so we've been wood walking, getting very muddy after all the heavy downpours. Middle didn't take part in any photos today as he has been under-the-weather all weekend, but Small and Big always finding a photo opportunity, found this tree with a weird hole in it, so couldn't resist pressing their faces against it! Hope your weeks have been full of crafting and fun. Looking forward to reading all your progress after supper is done....tonight, jacket potatoes and chili, which is probably sticking as I am typing! There's still time to get your name down for my giveaway, which I hope to announce a winner in my next YOP post. Gotta love crochet for that very reason. It is so quick. Love your cat, sheep, mouse and I also love the dolly, I think she looks cool as she is but she might be a bit more presentable with some hair. I love all your makes Faith, I dont think I would be able to do any of them though, I can only really do the granny squares! The cat is adorable! I like the sound of this bish-bash-boshing! WOW Faith you are supersonic! must try a bit of that bish-bash-bosh crochet...sounds like fun! Gosh, you've achieved a lot in a week! I especially like the doll even though she's bald and armless. I especially like the stripey stockings on the doll. 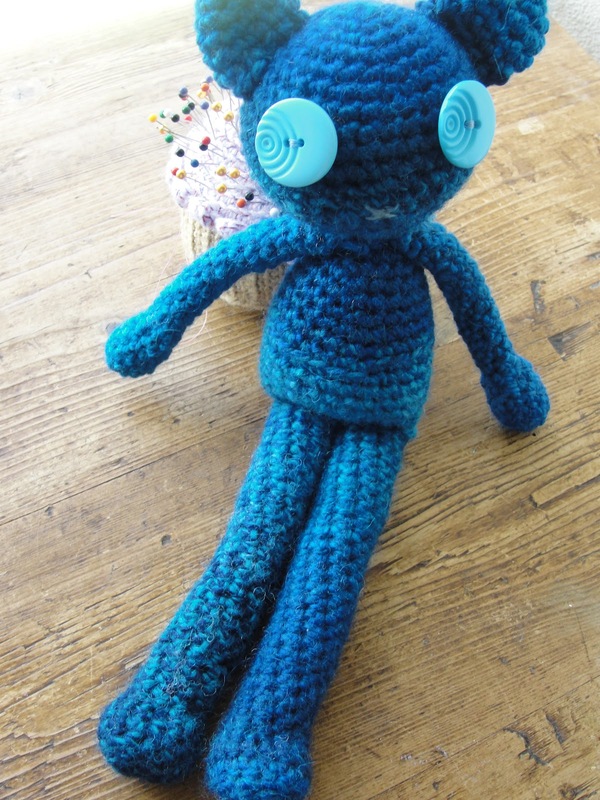 Wow, what a lot of crochet! 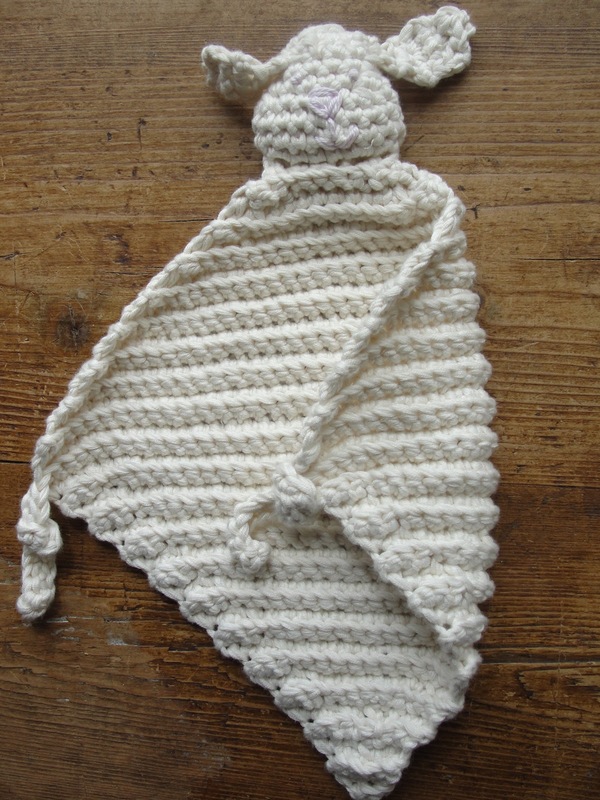 It's lovely and I particularly like the cuddly square for a newborn, it's sweet, whether its a lamb or a rabbit! Love the cat and the lamb and mouse and you know they look so much better as a lamb and mouse. Love them. I've enjoyed tuning in each week to see what you and the smalls have been up to and I look forward to another year of it. These weekends sure come round fast. Yes here in Ireland we get our summer holidays at the end of June and I'm so looking forward to two glorious months of no alarm and no rushing, just going with the flow a bit. 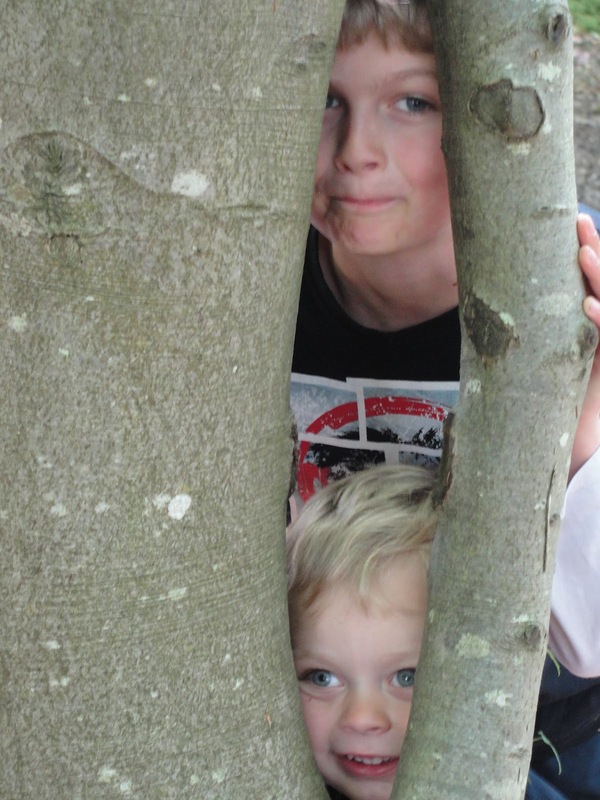 We don't tend to get as many mid term breaks or for as long as you during the year, hence the early school holidays. I ;pve the lamb, it just screams snuggle me! I agree - say you meant it to be a lamb, because it looks exactly like one! 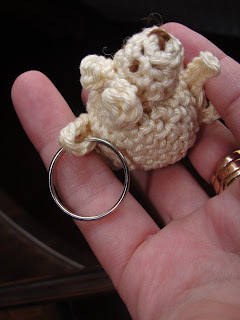 I think the keychain is cuter than any mouse I've ever seen, so you can say it is a lamb, too :). 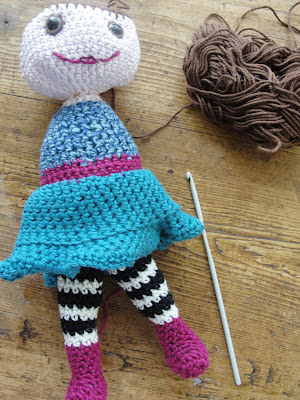 The cat and the doll are adorable, hope to see her finished some time in the near future. Loving the cat, OBVIOUSLY! Great colour yarn too. And all your other makes are amazing- your lamb comforter is the sweetest thing, and that doll is a winner. What cute projects you've been working on this week! Wow what focus you've had. That cat looks so cool w/those button eyes. The lovey looks like a rabbity lamb. Whatever works! I love your creations, Faith, I wish I could crochet even a third as quickly as you do! Great job! I really love the animal blankie. Those are so sweet! And the yarn you chose made it all look so snuggly. It all looks so wonderful your doll is gorgeous already can't wait to see her all finished with hair :). Thanks for your kind comments as always as you can see I cheated on the cake and found some star wars stickers and just stuck them on top. I think parties at home always feel so much more loving. The trend over here at the moment is to always have them somewhere else play centre bowling anywhere but at home. Hello Faith....I love all your little crochet creatures (I agree too that the rabbit makes a gorgeous little lamb! )and your doll is looking fab...lovely colours....Oh dear, I'm feeling my crochet envy coming on again! I love my knitting and the end results, but it is a much slower process, isn't it? Love that pic of the boys, hope young Middle is feeling better soon.